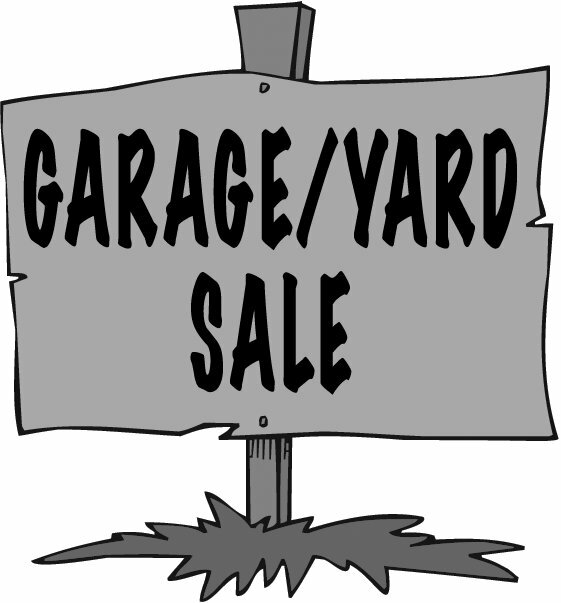 Hold your own yard sale, cocktail or pizza party. It’s easy if you start close to home. Contact us for ideas, contacts, brochures, and other materials. You could also contact your local newspaper and see if they will feature your story. You can provide information from this website. Interested in personal campaign page? We can create a personalized page for you. Raise money in honor of someone you love, ask friends and family to help, create a team fundraising page for your workplace or school. Do something that makes you feel great! Have you always wanted to run a race? 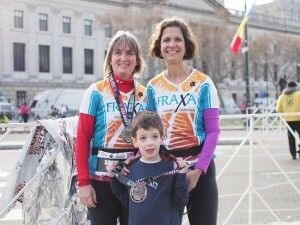 Here’s extra incentive: Join TeamFRAXA and run to find a cure for Fragile X! We have had runners in the Marine Corps Marathon, the Boston Marathon, the Philadelphia Marathon, and others. We’ve had bike runs in New York and North Carolina. Let us know if you want to move for FRAXA! Looking for an easy and fun way to raise funds for Fragile X? Simply try the links below or contact local restaurants. Explain about Fragile X. 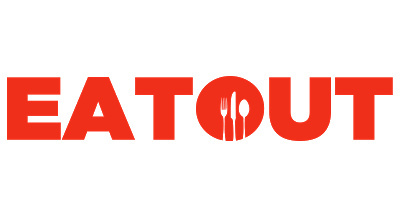 Many of these restaurants are child-oriented, so it appeals to them to help children. I told the managers how much my son Andy loves their restaurant and how comfortable he feels there (usually!) Ask if they will do a benefit night to raise awareness/funds for Fragile X. Many will donate 5% – 20% of their sales to FRAXA. Our local McDonald’s agreed to hand out a little fact sheet at the drive-up window all week. Now that’s raising awareness! If the managers agree, then you get to invite your friends to join you that evening! We can send you brochures, fact sheets, wristbands, balloons, or whatever you need. The restaurant’s donation is tax-deductible, which means that they might actually make more money that night. Also, we will publicize their philanthropy, if they want. Yard sales come in all sizes, and every one can raise awareness and funds for Fragile X research. > Have fun! Use the sale as an opportunity to let others help you support a good cause. “We had the best fundraiser, not to mention bringing in over $3,300 dollars! Over 100 people showed up that day. 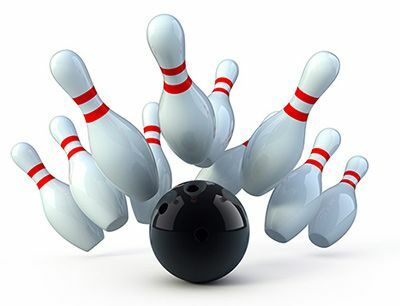 20 bowling lanes were designated for FRAXA as well as a private room. You should have seen how beautifully the auction room was decorated: tulle and flower swirled table cloths, jewelry displayed on black velvet, and a lolli-pop game overflowing with bright colored prizes for the winners, while ten tables glimmered with huge baskets of goodies wrapped in opalescent celephane.